Sovereign entities are a collection of economic institutions which compete against others in a race for prosperity. A real-world collection of institutions can be thought of as an economic supermodel (in contrast with theoretical models). So when one nation prospers while another fails, we should pay close attention to that supermodel’s features. Californians should understand those fiscal pressures. Average annual pay for a local government employee in the state rose by 60%, to $61,185 (excluding benefits), between 1999 and 2008, according to the Little Hoover Commission on California State Government Organization and Economy. That’s about 70% more than the increase in private sector wages in the state over the same period. Average pay for cops and firefighters climbed 69%, to $89,056, again excluding benefits, in the same period. Benefit costs have soared even more than wages. The annual cost of funding pensions in California’s 20 largest municipalities has grown from $1.3 billion in 1999 to $5.1 billion last year, according to a study by Stanford University professor Joe Nation. That’s an annual growth rate of better than 11%. Faced with such increases, municipalities in California haven’t had nearly the flexibility to mend their budgets that officials in Wisconsin have. Doesn’t this break the extraordinarily common fallacy of thinking of states as competing firms? Nations have comparative advantages, not competitive ones. Only domestic and multinational firms really ‘compete’, at least ever since economic nationalism fail out of vogue. They could be competing as in golf, where everyone tries to get the best score, but one person’s good score doesn’t prevent another from also scoring well. States certainly try to do well for themselves and generally want to be at the top of the table rather than the bottom, so they are competitive in that sense. Political leaders also tend to fall for the fallacy you describe, so their actual behavior is unlikely to be optimal. Your right, they could be – but I don’t see the general equilibrium. Simplistically, firms compete by undercutting prices toward their marginal costs till equilibrium. What’s the analogy for nation states? Cutting taxes and standards for FDI, perhaps. 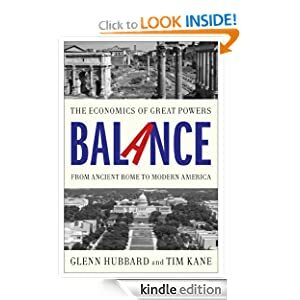 But as I see it that’s really just a competition to claim one particular comparative advantage (tax and regulation haven) – and obviously not a basis for thinking about global power balances. I guess it’s just a pet peeve over language, but talking about states and nations as in competition is really bewildering from a straight-forward economic perspective. No, it’s not a pet peeve over language, it’s an analogy that unfortunately communicates a fundamental misunderstanding of the role of competition in markets as opposed to between states. While the analogy holds up better for sovereign states over the long, long run, implying that (United) States compete with each other in anything like a market for ‘prosperity’ confuses the policy issues which create wealth differently in different states more than it clarifies them. Even within states, municipalities compete to be the best place to live, work and play. Think about the tax incentives communities offer corporations to locate in their city or their state, it is plain and simple competition. Sovereign entitities are more than economic institutions, they’re also military and political, from which the destructive competition usually comes. We’re (almost) all better off because China ditched Maoism and embraced a much more capitalistic economic model. They still have a long way to go though, and it isn’t clear how the Chinese authorities will respond when their privileges are threatened by market forces. That’s when the ‘race’ could get nasty. I’m not clear at all what it is you all think ‘sovereign entities’ are competing for? To compete for something is to win a something limited and deny it to others who would also like to have it. You can compete for fame (only one Nobel Prize per year), customers, etc. A state doesn’t ‘compete’ for a metric like GDP or unemployment. China growing at 9% per year has little direct connection to what the US or Brazil or India will grow at. Likewise consider my house. I may make improvements on it and doing so it makes my house nicer. That’s not ‘competition’. Granted if I’m trying to be the nicest house on the block then I am competing for something. Likewise my desire to have a nicer house may have external effects like increasing the demand for home improvement goods and services that will make it harder for my neighbors to follow the same quest. But that’s not really competition. Coming back to some municipality in California suffering budget pressure, so what? First back out the purely temporary factors….a real estate bust and the fact that some areas experienced a much bigger boom hence a much bigger fall.. What does a municipality going bankrupt in California have to do with, say, some backwoods right wing hole in the most desolate part of Texas? If I’m locating a business, I’m seeking a place with good workers. If I’m a person I’m seeking a nice place to live. A municipality going bankrupt, in the big scheme of things, matters to almost no one except investors in that municipality’s bonds. Comparisons of California and Wisconsin are at best good math exercises but provide limitted guidance on policy decisions. The two states have an abundance of variables that one would use to measure economic success. The same can be said for the medical plan implemented in Mass. being applied across all 50 states. In some states the Mass plan would work right out of the box but in others with different population needs would need some significant adjustments.